Posts Free Spooky Reading Tonight! I’m so excited, you guys! 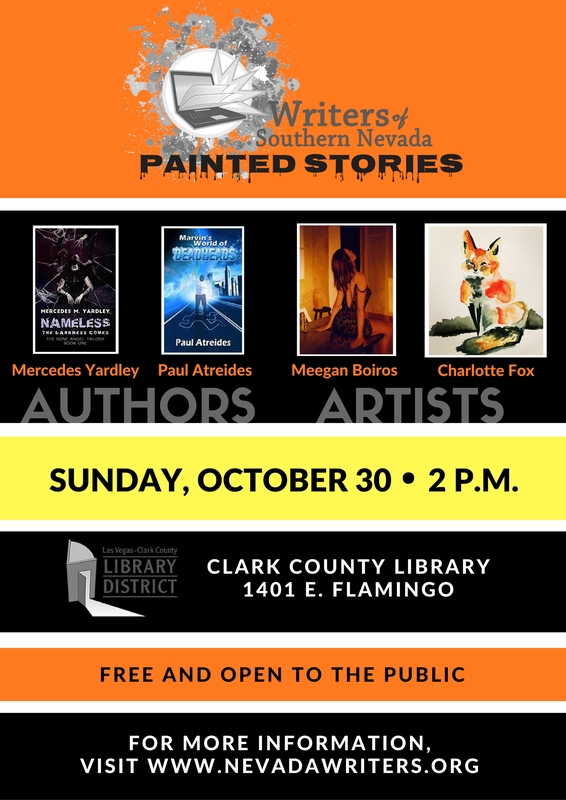 Just a quick reminder that I’ll be reading from Nameless: The Darkness Comes down at the Clark County Library in three hours. The address is 1401 E. Flamingo, and we’ll be in the Jewel Box Theater. The readings and paintings will go from 2-4 pm. There will be time for questions and a signing after. Hope to see you there! Happy Halloween. Watching two artists turn your words into paintings is going to be way more fun than screaming at NFL refs on TV today!